This is still a planned list, so I may decide to add or remove some of them. 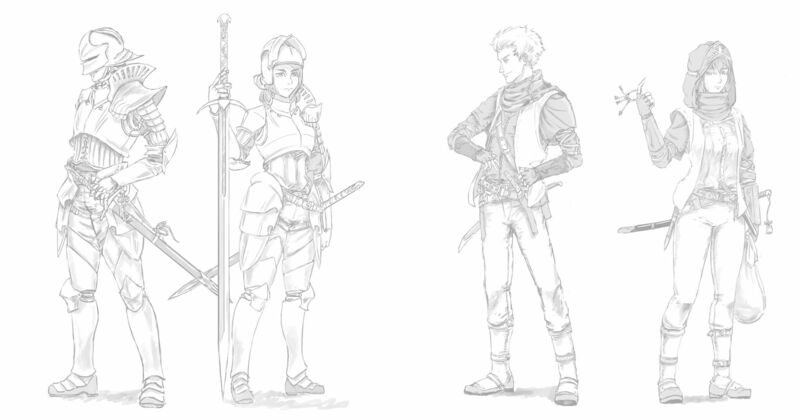 The idea is to add a basic version of each class, male and female, and then individual characters for both sides (with the resistance consisting of different cultures). 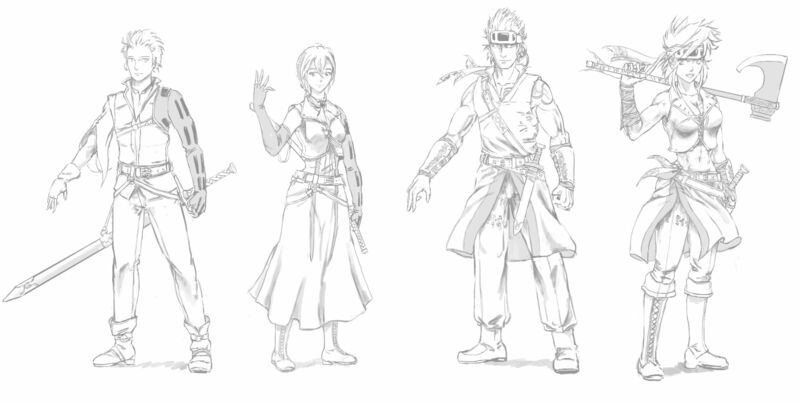 For now, here is a concept sketch for the basic soldier unit. 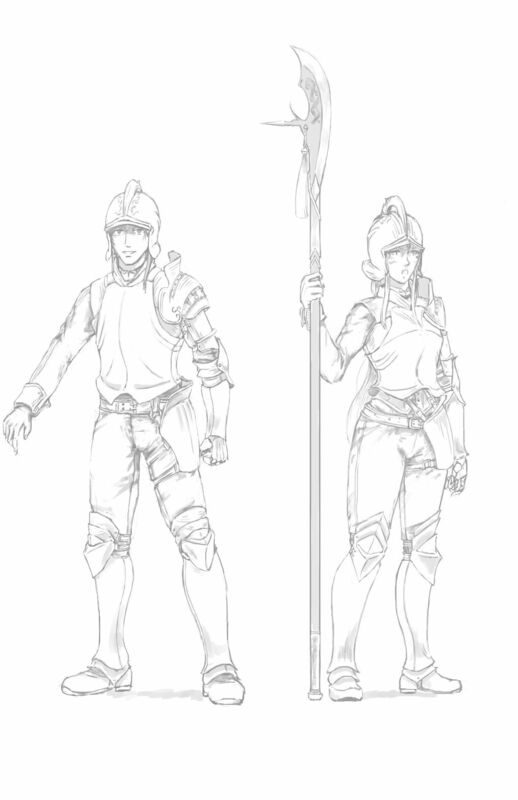 Concepts for the fencer and the shieldbreaker. Fencers should be the fastest and most lightly armored melee unit available. 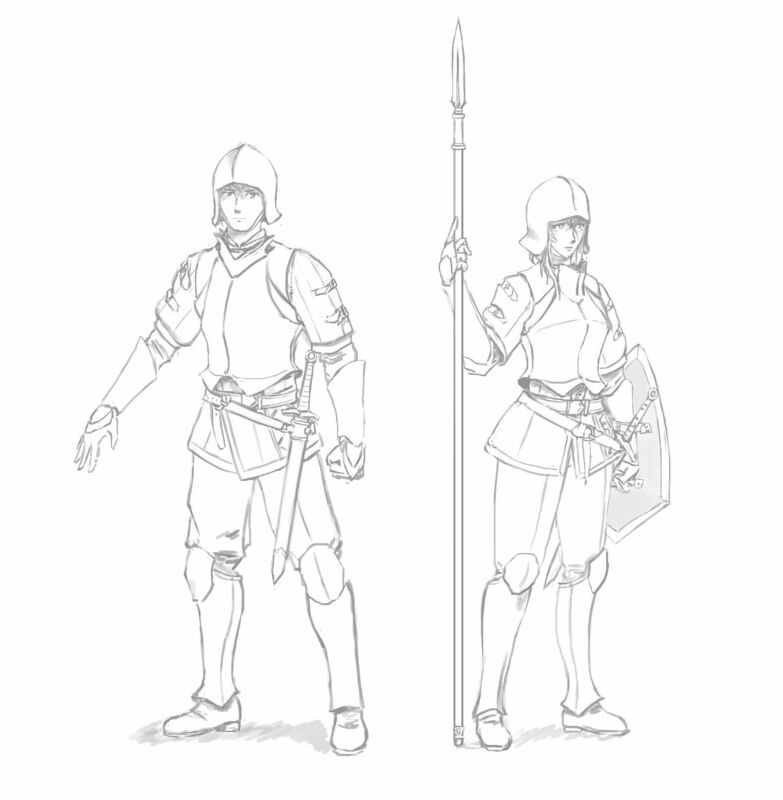 Shieldbreakers would be used to break the opponents armor, either with axes or heavy throwing weapons (javelins or throwing axes). Lancer. Uses better armor than basic soldier, but loses shield to wield polearms. Doppelsöldner. Uses two handed weapons to break enemy weapons and armor. Wears heavy armor. Rogue. Armed with daggers and a short sword, the thief opens doors and steals important items.